Hi guys! How are you doing? It's Wednesday and it's raining here in Sweden. The weather has been cold and grey all day, typical fall weather. Wanna see something not so grey and cold? The theme for day 19 is galaxies! I decided to do colorful, bright and almost a bit pastel-ish galaxies this time. I absolutely LOVE this manicure. I wish I could peel it of in little sheets and save it for later. Yes, that's really gross. The base of this manicure is two coats of China Glaze Tart-y For The Party. It's a beautiful lilac-ish purple creme with perfect formula. Then I put on one thin coat of Darling Diva Dangerous Driver. 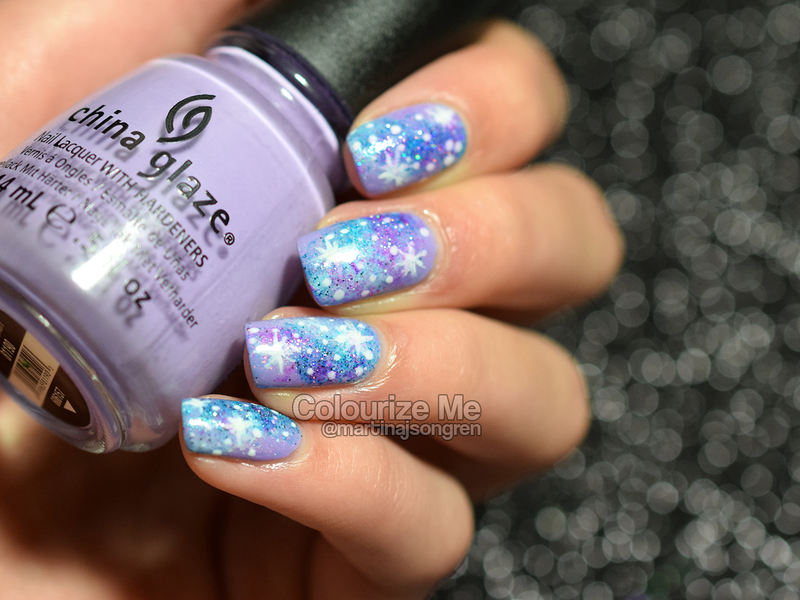 I started making the galaxy by sponging OPI My Boyfriend Scales Walls randomly on the nails. I continued the sponging with Make Up Store Nicklas, Darling Diva Maxed Out, Glacial Springs and Sparkling Orchid, both from Smitten Polish. I added stars with a tiny dotting tool, a tiny nail art brush and OPI My Boyfriend Scales Walls. Do you like this kind of galaxy or do you prefer more traditional galaxies? 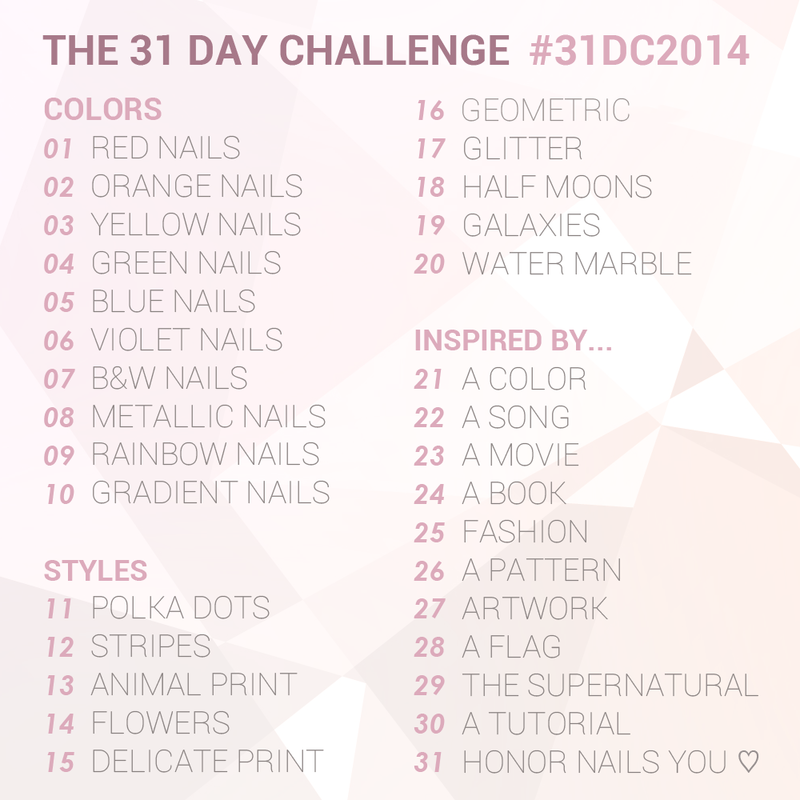 Check out day 19 from last years challenge, click click!